William joined the family company in 1981 and took over the mill with his brother in 1992. He is the team leader responsible for sales and planning, coordinating and controlling the manufacturing processes for the next season of new products. Lorraine first started working at McNutt of Donegal in 2001 and left for a short while before returning to the company in 2012 to work in the sales team. She has a varied role within the company with no two working days the same, but her main focus is customer relations; dealing with customer enquiries on a daily basis, administrating orders and getting them ready for shipping. Lorraine also attends the Trade Shows every year, engaging with old customers and attracting new customers. Paul is one of our longest continuous working members and has been employed at McNutt of Donegal since 1994. He is our senior warper and is responsible for getting the yarn ready for the initial stage of production. 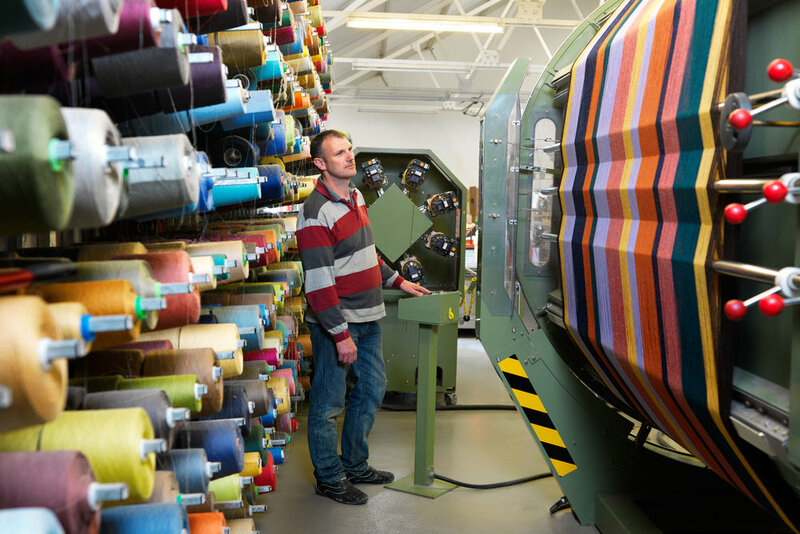 Paul also has a role to play in the design process as well as quality control, checking each blanket for imperfections and repairing them before they are sent off to the finishers. Demelza joined McNutt of Donegal in April 2014. She has a keen eye for detail and is in charge of quality control, ensuring all of our scarves and blankets are labeled and in tiptop condition before sending off to our customers. Demelza also controls the regulation of stock, making sure all items are available for our customer orders. Richard is also one of our longest members of staff, joining the company 22 years ago in 1994. His expertise lies in the weaving and knotting process and is the go-to guy for all weaving concerns including tying new warps with old warps in the loom, setting up the loom for weaving, spot checking for any faults during the weaving process and setting up drafts for new weaving patterns. 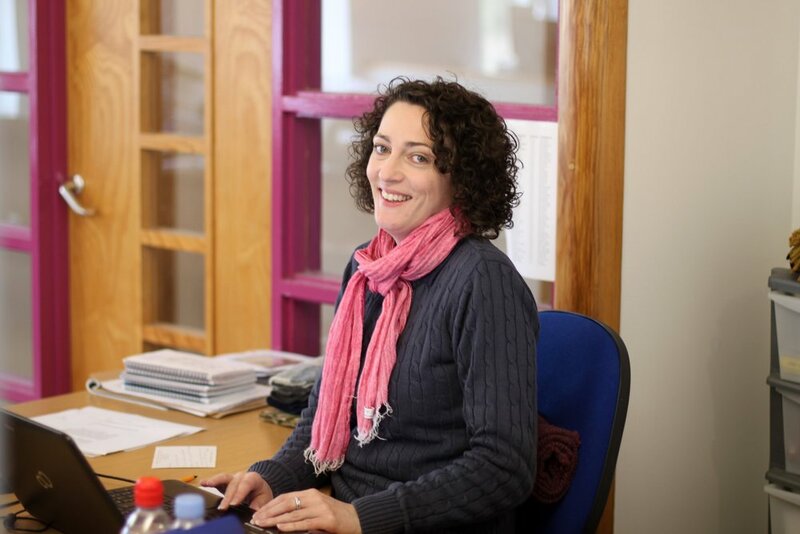 Bronagh began her position at McNutt of Donegal in 2005 and is our retail buyer for our Craft and Gift Shop, scouting around craft fairs and online shops for the latest Irish made craft and design. Bronagh is also our visual merchandiser for the shop and for our trade shows, ensuring that our product is displayed in the best possible way. Not only does she work in sales at our annual trade fairs, she meets and greets our old and new customers and guides them through the latest season of products. Michael first started working at McNutt of Donegal in 1977 and resumed his engineering role over 4 years ago. His job includes maintaining the looms, fine-tuning the loom settings to accommodate the various yarn qualities and weaving patterns and keeping all of the other machinery in operation. Laura has been working at McNutt of Donegal since February 2015. She has various design roles within the company including designing throws and scarves, packaging design, producing a biannual product catalogue for our retail customers, maintaining our website and dealing with internet orders. Anne began her position at McNutt of Donegal in 1999, dealing with all our customer accounts on a daily basis. 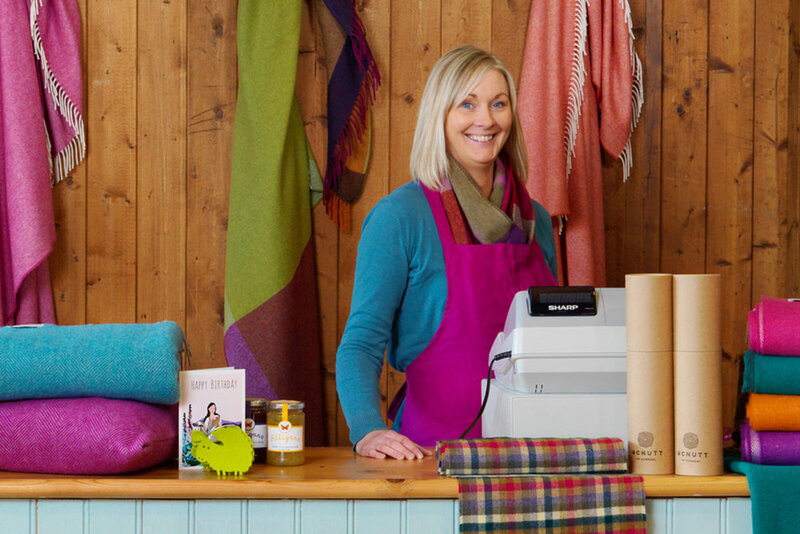 Since our Gift and Craft Shop opened in 2010, Anne has been a vital part of our sales and customer service team, helping our customers choose the correct woollen product for them, replenishing stock, and ensuring customer satisfaction. Sharon rejoined the team in 2017 having previously worked with McNutt of Donegal for 7 years. At present her main role is operating the fringing machine. This machine meticulously twists the warp threads into tassels on our blankets and scarves. Sharon is multi-talented, not only is she trained on the fringing machine but she is proficient in warping, weaving and has excellent sewing skills. These skills are called on to help in all parts of the business when the need arises. John initially joined the company in 1998 and returned to his original roles of warper, weaver and knotter in 2014. John has a wealth of knowledge in every stage of the production process and he has a meticulous attention to detail that is evident in all his work.